Leather jackets will become a regular outerwear for you not only during the winter season but also during spring and autumn. 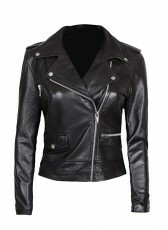 Therefore, you won’t be finding it easy to resist such a good looking Womens White Leather Biker Jacket. The White Biker Jacket is till the waist and is made from real leather with viscose as the inside lining. It has a front zip closure and a shirt style collar. Shoulder epaulets give the jacket its classic biker tag. 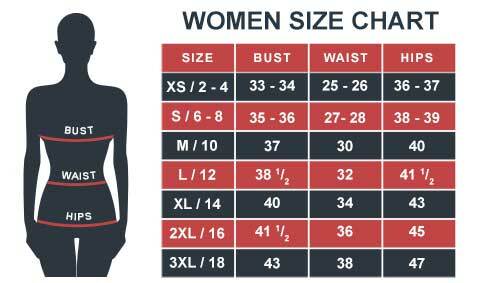 At the bottom of the jacket, there is a belt feature that helps you adjust the fitting. The White does have a lasting impact on people when you wear this anywhere you go. One of the best white biker jacket I've ever ordered. The quality is superb, and after wearing it with my casual jeans, I look just like the girl in the image only a bit overweight, but that's just me. Now I don't have to invest more money on other jackets as it can go with any fashion season. As soon as I opened the parcel, I immediately felt the texture. Knowing that it was going to be exactly how I expected the jacket to look. It really has that luxurious feel to it, and the thickness makes it look more costly. This white biker jacket is good and is not too heavy at all.